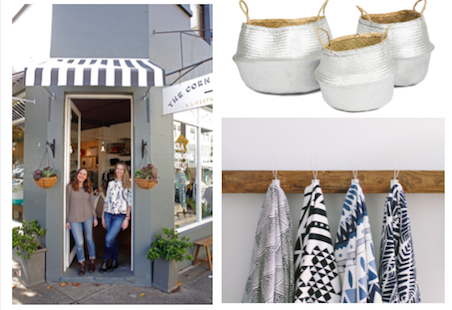 The Corner Booth is an independently owned concept store in the heart of the Annandale village in Sydney. We hope to be a place where the best of everything you could imagine is available. Carefully curated products, that have been thoughtfully designed and made, sourced locally and from around the globe. We aim to be to be your local gift store- that one stop shop for that perfect baby gift, toddler present, interesting new book, or treat for the home. Expect to find your favourite baby and children’s wear brands, favourite women’s wear, accessories and lifestyle offerings. For those that are unable to visit our bricks and mortar store, we have gathered together some of our favourite products in our online shop. Our informed staff are always happy to help and advise you regarding purchases –so why not give us a call or email us? We would love the opportunity to assist you.